Can I be the one who introduces you to a new addiction? Another super fun way to waste time? Meet: Pinterest (www.pinterest.com) What is it, you may ask? Here is a summary: “Think of Pinterest as a virtual pinboard–a place to catalog and share the things you love. Pin anything that catches your eye: memorable meals, places to visit, or great shopping finds!” If you want a more thorough post on Pinterest check this out: what is pinterest . You have to be “invited” (leave me a message in the comments and I’ll invite you) but then you create an account, either from your current twitter account or facebook account. Once you have an account you can set up your own “boards”, categorizing them with the common theme. Here are some of my boards that I’m working on: “books worth reading”, “what I’d love to wear”, “BOYS!”, “photography ideas”, “favorite places and spaces”. Another great feature of Pinterest is if you are hosting an event (baby shower, birthday party, wedding) you can search for different ideas and “pin” them to a board specific for that event. You can also set up the board so others can contribute to it…if you are hosting the event with other people. check it out! This week I did my grocery shopping at a different store and I discovered some new products. 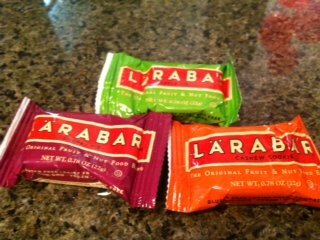 Remember how I said I loved Larabars? Well, my kids are always wanting to eat my bars. I discovered a solution! Their own mini-larabars. A box came with 3 different flavors: apple pie (the fave), cherry pie (2nd fave) and cashew cookie (not so found of…even with cookie in the title). I don’t know if you’ve heard, but it’s RIDICULOUSLY hot here in Dallas (30+ days over 100 and 110 degrees several days this week). It’s even too hot to go swimming. We’ve spent a lot of time inside. One game we played together this week was “Animal Charades”. You basically take turns acting like an animal and everyone else tries to guess which animal you are imitating. 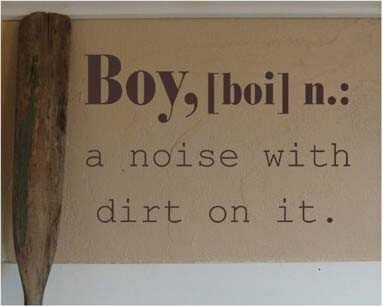 What’s great about this game is it can involve all 3 boys. Even my 2 yr old. He is the one who makes us laugh the hardest! 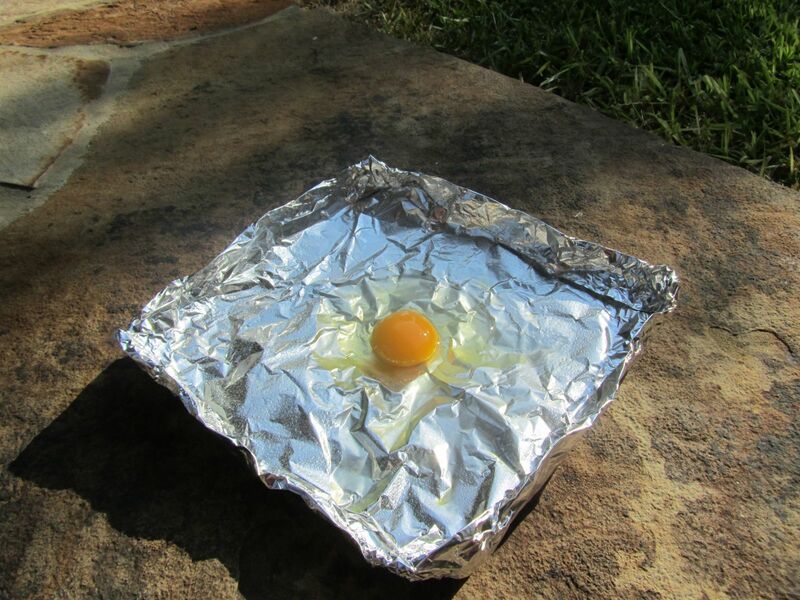 Due to the heat we also tried a little egg frying experiment. 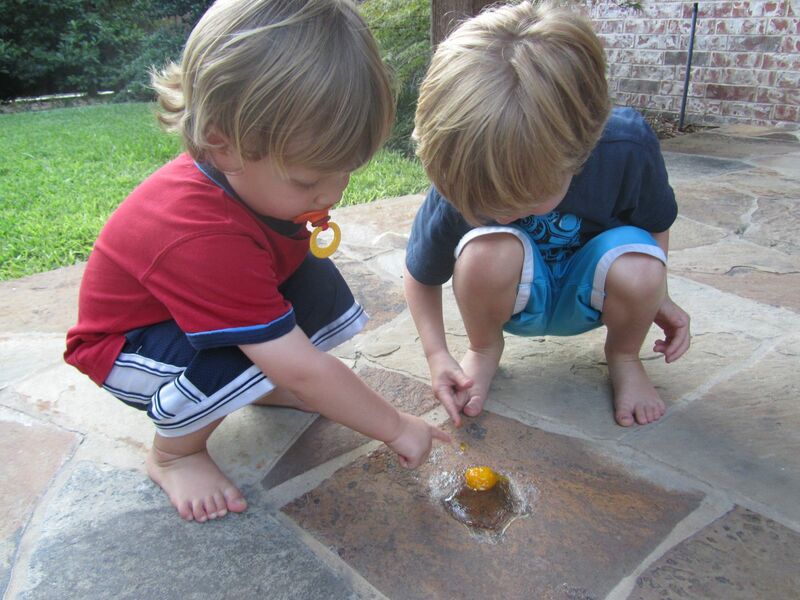 I first checked out this video: http://bit.ly/qVa9fE on how to fry an egg on a sidewalk. 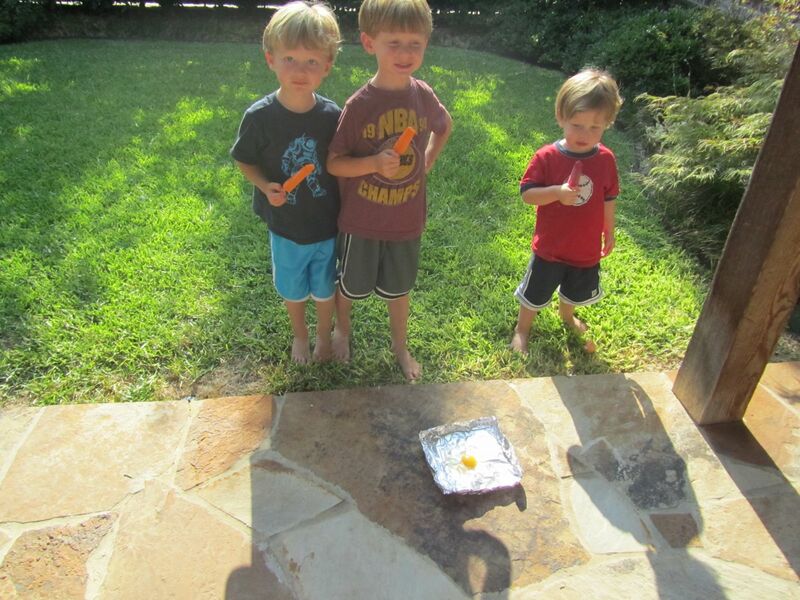 We started with the egg on aluminum foil sprayed with cooking oil. We watched it for a bit while eating Popsicles. But it just wasn’t getting as hot as the sidewalk felt. 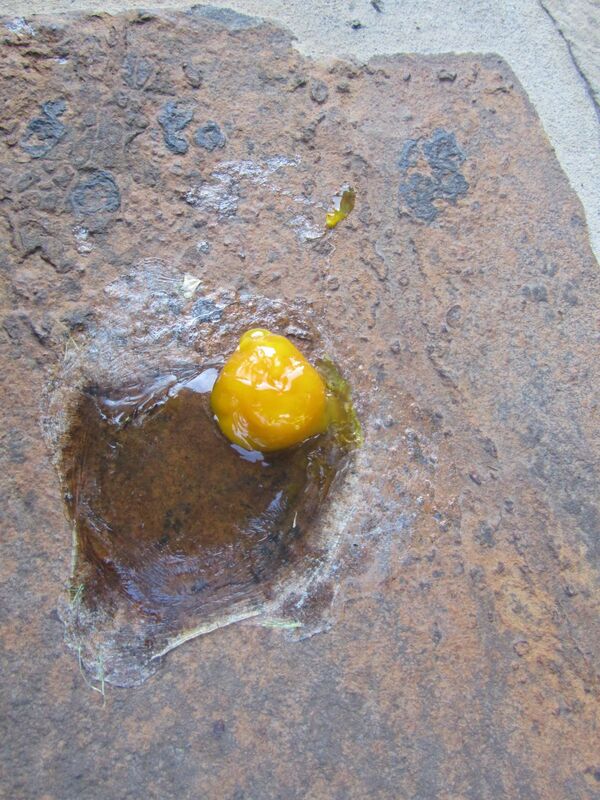 So we dumped the egg on our walkway and went inside for a couple of hours and ate dinner. When we came back out the yolk was hard and some of the white was cooked…and the ants had discovered some good protein. I love that our boys have birthdays within 6 weeks of each other. This was the 3rd year in the row that I’ve combined their parties. It’s awesome! One year we had a dinosaur party and the next year we had a pirate party. This year I let each boy pick his own theme…a little trickier but fun! 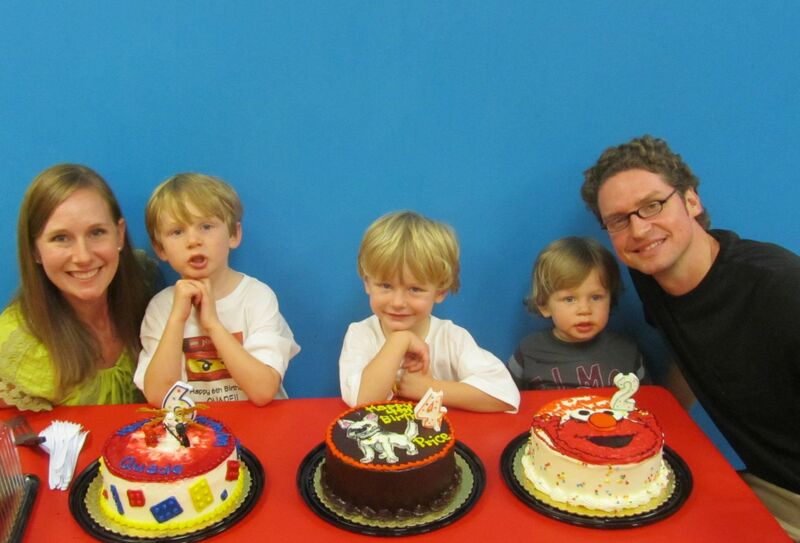 We had a “Lego Ninjago/Bolt/Elmo” party. OK I’m hooked, please invite me. Signed by an older noise with dirt on it.